US politicians are seeking reassurances from Google that its smart spectacles will respect personal privacy. A letter has been sent to Google signed by eight members of a Congressional caucus seeking answers about Google Glass. The letter poses eight questions for Google about the data the gadget will collect about users and non-users. 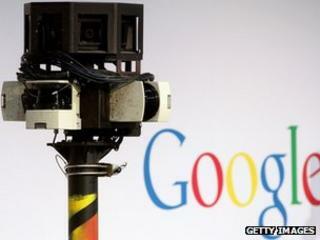 The group said it was "uncertain" about the privacy protections Google plans to build in to the device. "We are curious whether this new technology could infringe on the privacy of the average American," says the letter from the Congressional privacy caucus which, in the past, has quizzed many tech companies on what they do with the data they gather. As a bipartisan interest group, the caucus has both Democrats and Republicans as members. Google Glass is proving a controversial technology because of its potential to gather images, video and other data about almost anything a user sees. Some have claimed that privacy will be "impossible" if Google Glass and similar products become widely used. The letter, addressed to Google boss Larry Page, pointed out that the company did not have an unblemished history when it came to handling personal information. It mentioned the widespread criticism Google faced and the fines it had to pay after it inadvertently scooped up data from unprotected wi-fi networks while gathering information for its Street View service. The politicians want to know how Google will ensure it does not repeat that mistake. In addition, the Congressmen want to know what Google's policy is for handling the privacy of non-users and how it will respect the wishes of those who do not want to be identified or have any information about them taken from social media sites. The group also wants Google to explain how it will refine and update its privacy policies to reflect the novel capabilities of Google Glass. The search firm has been given until 14 June to respond to the letter from the caucus. Some of the points in the letter were addressed during an interview in San Francisco with Google Glass director Steve Lee. Mr Lee said the Glass team took the privacy of users and non-users seriously, reported the All Things D news blog. "From the beginning, the social implications… of Glass, of people wearing Glass, has been at the top of our mind," the site reported.